The Revenue Committee heard testimony Jan. 23 on a bill that would create a fifth individual state income tax bracket and additional taxes on incomes of more than $1 million. The state’s highest individual income tax bracket, with a rate of 6.84 percent, applies to taxable income of $29,000 and over for those filing as individuals and $58,000 and over for those who are married filing jointly. 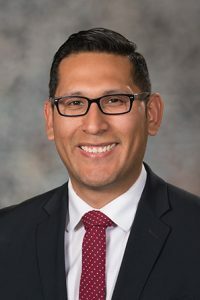 Introduced by Omaha Sen. Tony Vargas, LB50 would change existing brackets and create a new bracket with a rate of 7.84 percent for tax years beginning on or after Jan. 1, 2019. The new bracket would apply to income of $100,000 and over for those who are filing as individuals and $200,000 and over for those who are married filing jointly. The bill also would impose a 1 percent tax on the portion of a taxpayer’s income that is in excess of $1 million and a 2 percent tax on the portion that is in excess of $2 million. 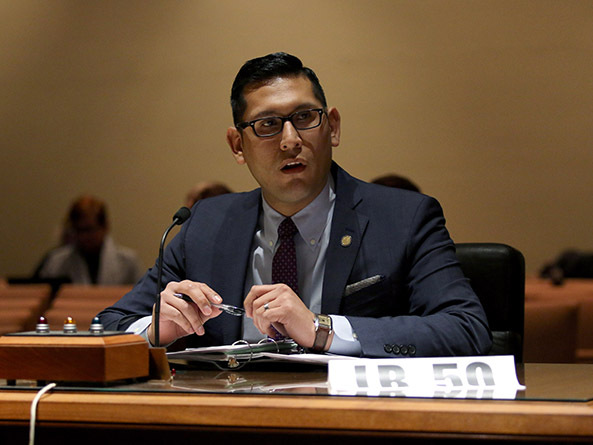 Vargas said the Legislature needs to raise revenue to avoid further budget cuts and to provide services to an aging, increasingly urban population in the coming decades. He said the state also needs to replenish its cash reserve, which has been cut in half over the past few years. “A modest increase on our state’s top earners is the most fair and equitable way to get the revenue we need and provide the services and programs that Nebraskans rely on,” he said. The bill also would require the state tax commissioner to adjust the income tax brackets and additional taxes on high incomes for inflation. The state Department of Revenue estimates that LB50 would increase state tax revenue by approximately $140 million in fiscal year 2019-20 and by approximately $105 million in FY2020-21. Renee Fry, executive director of the OpenSky Policy Institute, testified in support of the bill. She said it would reduce taxes on middle-income Nebraskans by expanding the income threshold of the state’s third bracket, which has a rate of 5.01 percent. Fry said the Legislature could use the revenue raised by LB50 to offset property taxes and pay for other priorities at a time when high-income earners are receiving a tax cut from last year’s federal Tax Cuts and Jobs Act and related changes to the state tax code. “It’s likely that the impact of the tax increases in LB50 won’t even be noticed by those high-income earners,” she said. Joey Adler of the Holland Children’s Movement also testified in support. According to a Holland Children’s Institute survey conducted last September, 78 percent of Nebraskans believe the state’s economic policies have helped only the wealthiest Nebraskans, he said. The same survey found that 58 percent support raising revenue by increasing some taxes and only 37 percent believe the state’s wealthiest residents are paying their fair share or more. “There is an obvious disconnect that exists between the economic realities of Nebraska families and where they feel their government is focused,” Adler said. Testifying in opposition to the bill was Sarah Curry, policy director at the Platte Institute. She said the bill would raise taxes on small businesses, many of which pay taxes on their owners’ individual income tax returns. Raising income tax rates also could cause an exodus of high-income earners to states that have lower or no income taxes, Curry added. Other states have broadened their sales tax bases and eliminated sales tax exemptions to increase revenue instead of raising income tax rates because of that “sticker shock,” she said. Also testifying in opposition was Ron Sedlacek, speaking on behalf of the Nebraska Chamber of Commerce, the Greater Omaha Chamber of Commerce and the Nebraska Bankers Association. He said increased income tax rates on high-income earners could discourage highly mobile professionals from locating their businesses in Nebraska. “People expanding old businesses or creating new ones will incorporate the higher costs of doing business into their decision making and steer clear of the state,” he said.